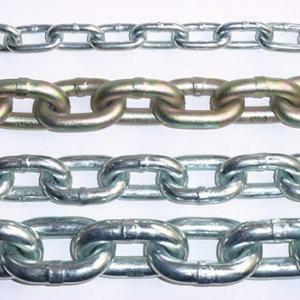 Roller chain is a metal chain of rollers attached by side links. 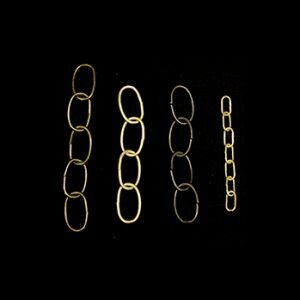 Used as a conveyor chain or drive chain. 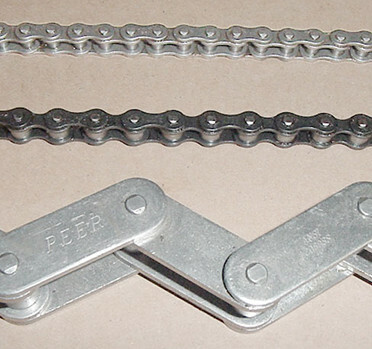 Also known as a bicycle or motorcycle chain. Popular with farm equipment and industrial machinery. Driven by a sprocket.